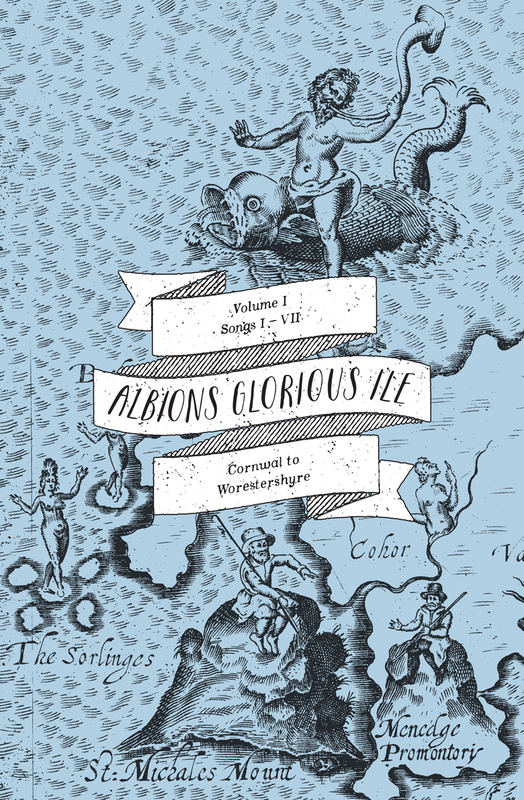 Designed for the imaginative child in all of us, this beautifully produced coloring book presents a collection of thirty county maps of England and Wales. The maps were originally produced in the early seventeenth century by the cartographic engraver William Hole to accompany the poem “Poly-Olbion” by Michael Drayton. Divided into thirty songs, the poem celebrates the landscape and history of each country in the region. Arguably the strangest maps of Britain ever designed, the accompanying illustrations depict the familiar rolling countryside as a playful fairyland, bustling with otherworldly beings. Every topographical feature is anthropomorphized, so that hills, for example, are represented as stout country gentlemen, rivers as water nymphs, and forests as elegant huntresses. Collected into four volumes, each county is represented here in double-page spreads, and this unique coloring book allows you to bring these unusual settings to vibrant life on high-quality paper suitable for more than just crayons or pencils, but even watercolors. This is a coloring book that also tells the story of medieval England and Wales, and it will be a something to keep and treasure as a complex, endlessly rewarding work of art.